Steeples Apartments offers residents the best in luxury, convenience, and comfort. You’ll find an abundance of quality community and individual amenities, amazing location, and a beautiful neighborhood, all staffed by our compassionate management team! Enter any one of our 2 and 1 bedroom, 450 to 1000 square foot apartments and see for yourself why Steeples remains the best among Briar Forest apartments. 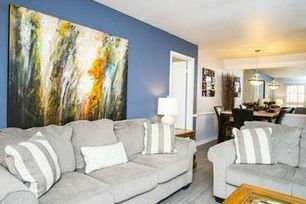 Each of our wonderful units comes standard with stainless steel appliances, backsplash kitchen walls, granite counter tops, laminate flooring, screened patios, and high speed internet access. In addition, our community based amenities ensures the fun is right at home. 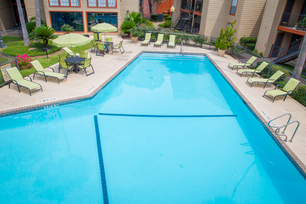 Enjoy our large swimming pool, modern fitness center, and clubhouse access! Our 4 laundry facilities, night patrol, and on-site maintenance will meet your daily needs! Come by our leasing office and let one of our expert staff members show you why Steeples is perfect for you!